Resettable inline with manual reset button for use with higher amperage accessories. Complies with SAE standard J553. Splash proof. 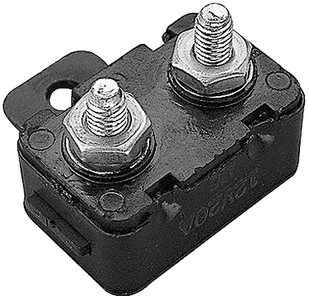 May be used on 12V or 24V systems.